Reserve your caviar special today, while supplies last and we'll deliver it to you when you need it. 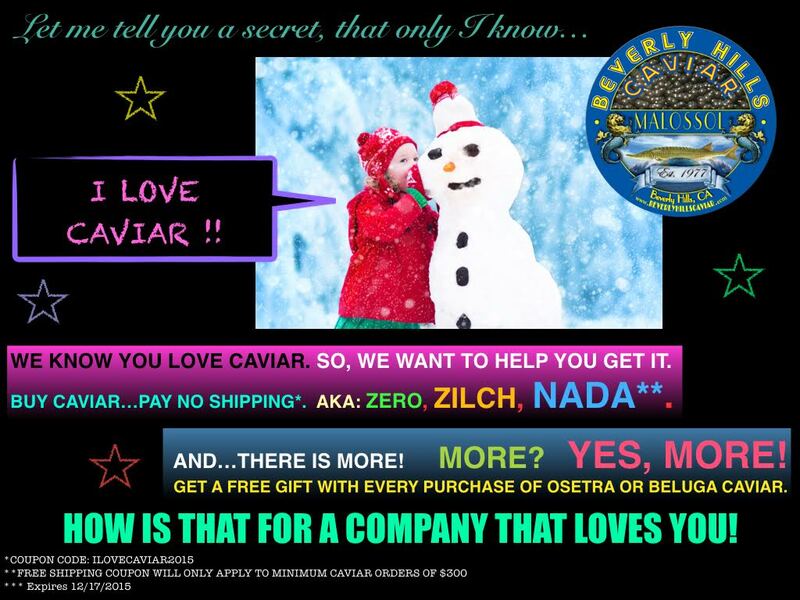 Simply type ilovecaviar2015 in the coupon code section (located at the bottom of the view cart page) and receive free shipping for orders over $300.00. Also select a free gift with every purchase of Beluga Caviar and Imperial Osetra Caviar. This promotion is valid for orders shipped only within the USA.